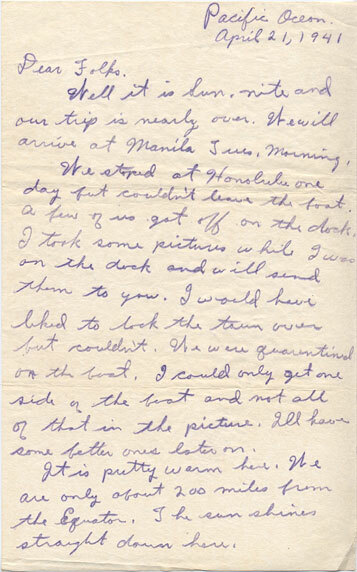 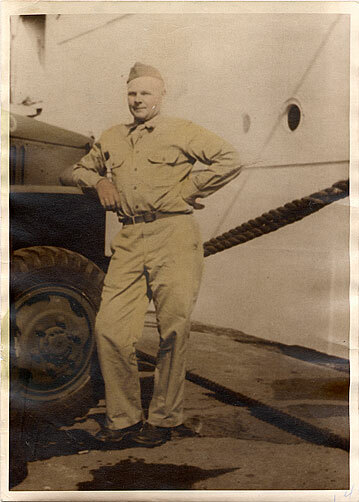 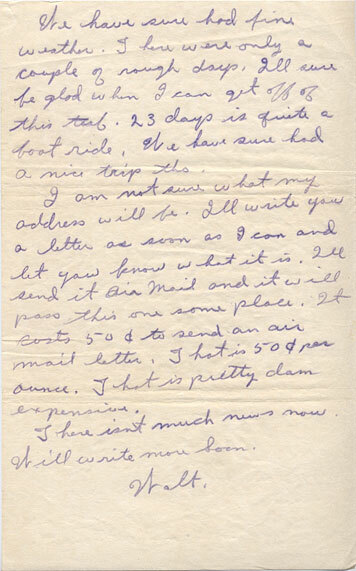 According to his letter he sent to his parents in Columbus from Honolulu, Hawaii en route to the Philippines, Walter was able to stand on the dock and take some photos of the ship, however they could not go into town because they were under quarantine. 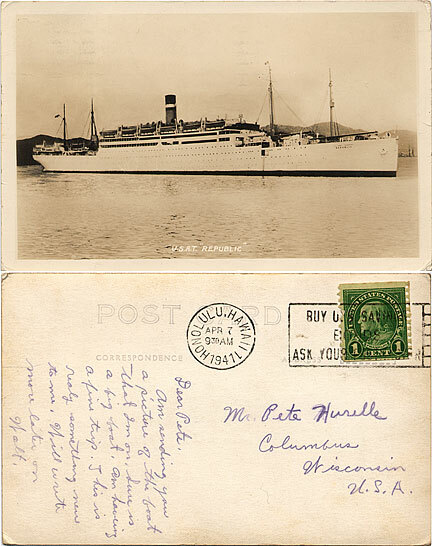 Walter sent a postcard to his brother Pete of ship that transported him to Honolulu, Hawaii, then the Phillippines, the U.S.A.T. 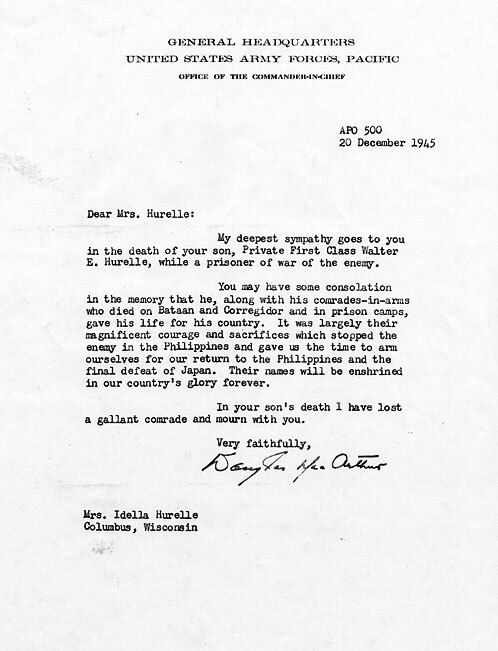 "Republic." 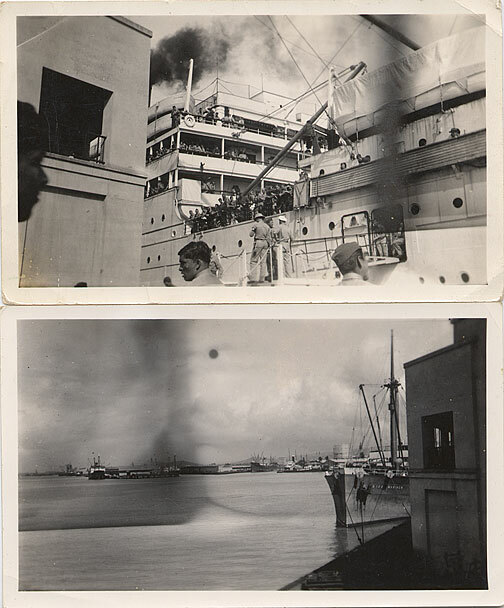 These are two photos Walter took, one of the side of the Republic and the other of Pearl Harbor. 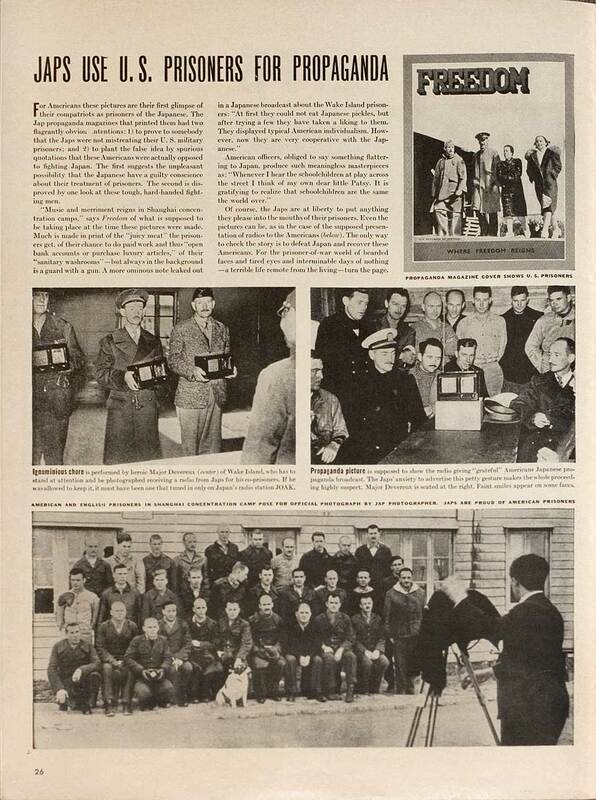 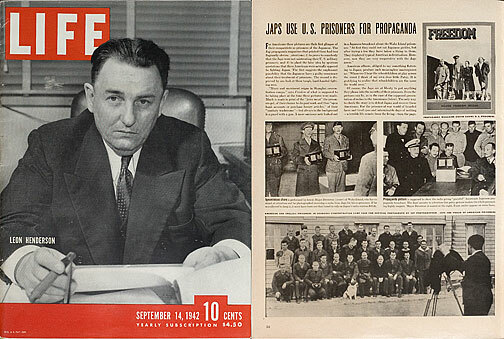 Later, his brother while stationed in Louisiana, sees Walter in a propaganda photo in the magazine "Life" September 14, 1942 edition. 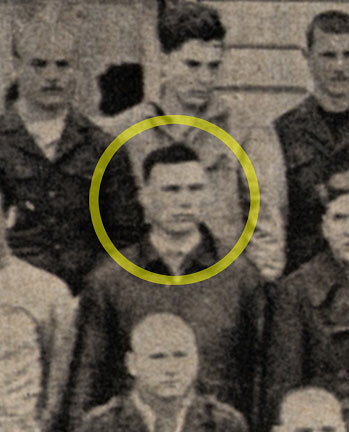 Walter is standing in the middle row, second from the left.